Helpful Health Products « This teens tired of being overweight! 1. Water helps in getting rid of head aches. Seriously, three quarters of your brain is made out of water. It will help soothe your mind and take care your head ache no prob. 2. Water also helps take care of nasty infections. If you have a fever, or any sort of cold/virus water helps clear out the infection so you may return back to normal. 3. Water takes care of your skin. It helps keep your skin smooth and healthy. If you don’t drink enough water your skin can feel delicate and dry, giving you that unhealthy look. 4. Water takes care of bad breath. Saliva helps get rid of bacteria that forms in your mouth, saliva is formed by water. If you don’t drink enough water, saliva won’t form in your mouth and therefore cause you bad breath. 5. Water takes care of concentrated urine. If you don’t drink enough water, urine concentrates and that means there isn’t enough water flow through your kidney’s. The more water you drink the less concentrated your urine will be. Water is one of the best ways to keep your body healthy, it even helps you lose weight. It flushes out toxins, keeps your system moving and I bet it can even help you live longer. But remember, don’t over do it. Keep everything in balance, not to much water, not to little of water in your system. Through the years well I’ve found some useful techniques that may definitely help with combating allergies and I hope they will also be able to help you too. You really have something for me? Okay well then what do you suggest? The next best thing to do is to stay inside when the air is full of pollen outside, try your best to avoid to much contact with nature right now since it’s pollinating. I HIGHLY recommend using this product, when it comes to a stuffy nose and hard breathing this will help clear that up for you. Eucalyptus Oil is the main ingredient and it helps clear your sinuses, for my use I say about 95% percent of the time I use it I have instant relief. Repeat I HIGHLY recommend using this product!! And it doesn’t really matter which brand your getting so long as you are getting it, use your best judgment and I’m sure you’ll be fine =D. I comfort myself by saying “Don’t worry Summer is coming…” in the extreme heat of summer the pollen dies out and everything seems pretty good afterward. Don’t worry about anything, just have patience Spring WILL end it just takes time =D. 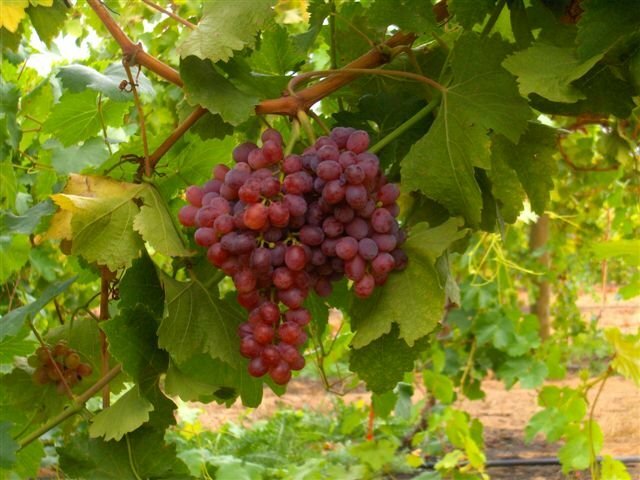 Resveratrol is a special nutrient that is normally found in red grapes. Grapes use Resveratrol to heal a bruise or a burn from the sun anything that damages the grape, it uses it so it may return back to normal form and shape. Ok great well it helps the grapes…but what has this to do with me and my health? Well not only is Resveratrol found in grapes but it’s also found in animals. When an animal is starving, near death, Resveratrol is released throughout the animals body; Resveratrol keeps the animal from catching deadly diseases till it finds the proper food source. It keeps the animal alive! This also pertains to us, if we take Resveratrol as a supplement it will protect us from diseases-protecting us from every disease as a matter of fact! Ok that’s cool, but is that all it can do for me? No, that was just the beginning; there is so much more it can do. Resveratrol tricks your body into making every possible move to preserve your body as you get older, it boosts your defenses (protecting you from disease) and keeps you in top physical condition. In order for Resveratrol to work at it’s best you need a good diet; eating balanced meals and such. As I said before, it preserves your body as you get older and it helps you live healthier, longer. It also helps your brain-it keeps your mind clear and focused. Wow, where can I get this and how do I take Resveratrol?